In preparation of the mandatory Facebook layout changes coming March 30th, Onsharp is now accepting registrations for a free educational webinar entitled “Make the New Facebook Timeline Work for Your Business” which will be hosted at 10:00 am Central Time on March 20th. Onsharp recognizes that many businesses will have questions as to how they can optimally use the new Timeline layout and this webinar will address all these questions and more. Businesses have much to gain from the new Timeline layout, such as the ability to highlight historical posts and attract new fans with compelling cover photos. However, the new Facebook layout has some very specific guidelines that need to be followed so it is important for businesses to be properly prepared for the changes. With the webinar, Onsharp will walk businesses through the basics of the Timeline layout, covering topics such as what a business can and cannot have as a cover photo, how to highlight specific posts, and strategies that highlight why Timeline is better for businesses. The Facebook Timeline Webinar will go through a lot of pertinent information and there will be time at the end of the webinar to answer questions regarding Business pages and how to use Facebook Timeline. However if you do have questions or comments before the webinar, they can be sent to onlinemarketing@onsharp.com. Onsharp is an interactive agency that architects, builds, and supports web-based solutions. We're passionate about technology, but not just because we think it's cool. We are experts at helping businesses understand how new technologies and trends can help them meet customer demand while improving productivity. 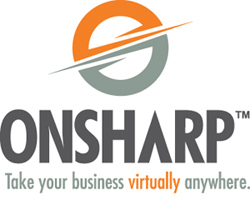 Onsharp strives to create success in the lives of all people, businesses, and communities they serve. For more information about Onsharp, please visit http://www.onsharp.com or call toll-free at 1.866.ONSHARP .